I have the drive set to drive 2, when I attempt to format drive two, the drive spins up and appears to be trying to perform an action and I get an error 144. But what is the disk drive itself set for. 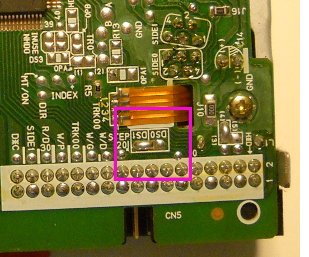 Most PC 3.5 disk drives are set for Drive 1 on the drive pcb itself. They have to be set for Drive 0. 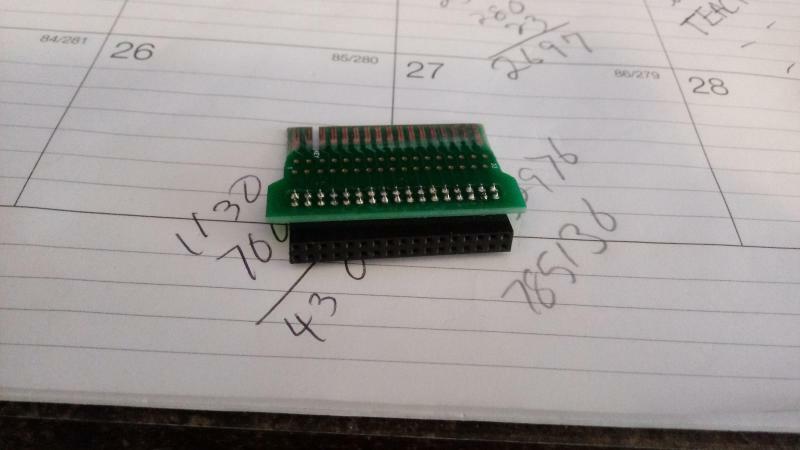 If you are lucky the disk drive has actual jumpers, Otherwise you will have to locate the null resistor, desolder it and move it to the correct location to make the drive believe it is now Drive 0. We are talking about this kind of drive selection: in the floppy 3.5 mechanism it self, not the Atari drive selection. Why would I want it to be drive 0,I don't have any 3.5 diskettes that are bootable? Edited by _The Doctor__, Thu Mar 14, 2019 3:20 PM. The drive id on the 3.5" disk drive itself has nothing to do with the Atari. Remember you are trying to connect a circuit that was designed for the PC world to a different computing system. Without going too much into ancient history of PC floppy drives and their standardization all 3.5" drives made in recent times are by default set at Drive 1. In order for the Atari to see that drive it has to be set as Drive 0. What is the make and model of 3.5" floppy drive you are using? Edited by Dropcheck, Thu Mar 14, 2019 3:22 PM. This drive has a 4 position switch on the side that shows a 0 on one end and a 3 on the other. I would suspect that it could be assigned as drive 1-4 or 0-3. When I place the switch in position 0 and set the Atari switch to drive 1. The drive attempts to boot and says BOOT?err16 on the screen. If I set the Atari switch to drive2, and a 5.25 drive as drive 1 when I attempt to read the directory or to format the disk, I get a few slow beeps for several seconds and then error 144. If the switch on the 3.5 is set to anything other that zero, the drive does not respond at all and the disk never spins up and the light does not come on except briefly at power on. Not sure if it helps, but there is only one MOTOR ON signal on the flat cable that connects a standard floppy drive (3.5" or 5.25") to the hardware controlling it. Meaning the motor probably spins if any of the four possible drive numbers is selected by the controlling hardware. when you set another complete 1050 or whatever to SIO drive 1, and the other complete new board drive set as SIO drive 2, you are saying it's interfering with the first drive? Edited by _The Doctor__, Thu Mar 14, 2019 6:25 PM. What DOS are you booting the 5.25 from? You won’t be able to read anything off the 3.5 until it’s properly formatted (and I worry a bit if that floppy was formatted in a HD drive). When the 1050 is drive 1 and the 3.5 is drive 2,the 1050 works perfectly. I boot MYDOS 4.3 then I try to read the directory of D2. The 3.5 spins makes some slow beeps as if the drive is trying to read a disk. After several seconds I get ERROR 144. The same thing happens when I attempt to format D2. I am not using a new board, I wanted to make sure I had a good 3.5 before I tried it on a new board. Tomorrow I plan to open up my PC and see if there is a way to hook up a 3.5. If so I could maybe test the 3.5. ??? what pcb are you using with the 3.5 and what rom? Edited by _The Doctor__, Thu Mar 14, 2019 8:29 PM. This is exactly what we are saying. The 3.5 needs to be on zero. Now we may have multiple problems here. We need to start eliminating variables. If you can let's first start with a back step. If you have an good XF551 compatible 5.25 disk drive and can connect it to the 'new' XF551 board. 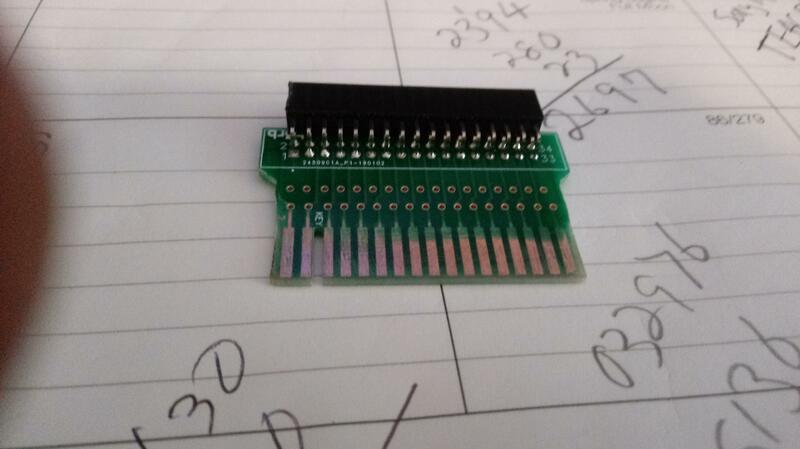 Change out the eprom as well. See if it works normally. If it does then the pcb is good. If not then the problem is with the pcb. Some 1.44MB 3.5" mechanisms will work with the XF551. When I purchased a CSS 3.5" mod for the XF551(early 90's) it came with a Sony 1.44MB mechanism that works when used with 720KB 3.5" discs, the ones that do not have the extra hole indicating HD. It is also supposed to be possible to use 1.44MB media by wiping them with a bulk eraser and covering/plugging the HD sensor hole(or other method of disabling HD media recognition). I tried using 1.44 MB disks on a 720 drive. No luck. Not sure if it looked like it worked and then didn't or if it was a no-go from the get go, but it just didn't work. According to an article I found 1.44MB media needs to be demagnetized by a bulk eraser before they can be formatted at 720KB. Depending on the age of the mechanism density can also be set either 720KB or 1.44MB by switch/jumper, or automatically by the HD sensor. Later 3.5" mechanisms may also have dropped support for 720KB media as a cost cutting measure, eliminating the sensor for HD media recognition and configuring the mechanism to operate only in HD mode. I did say my 1.44MB Sony mechanism is from the early 90's. Edited by BillC, Sun Mar 17, 2019 8:19 PM. Yeah, don't do that. 1.44MB disks have a different coating than 720KB disks, and will be very unreliable as a 720KB disk. Wouldn't you also run into similar issues that 1.2 vs 360 5.25 disks have with the RW head power and track width? All this reminds me of the evil I went through with 2.88 3.5" floppy drives... EVIL!!! I finally finished one of the bare boards. It almost works perfectly. I can only get it to work as drive 1 or drive 2. When I first tested it, it would only work as drive 1 so I must have a bad selector switch or a bad solder joint on the selector switch installation. Going to have to look at it with a magnifying glass. This is my cardedge adapter. Edited by hueyjones70, Wed Apr 3, 2019 3:16 PM. That could explain some things. Are the 74LS38N and 74LS14N compatible with the 74LS38P and 74LS14P? chip which often has his logo on it for that determination. And probably not worth the effort of even looking for those. there is a devil in the details. some hair left unpulled? Well done. ALL. You tell me how that happened and we'll both know. one right there just ain't right. wrong jack pinout at the far end to use the cheap part.